» Atmel ICE Driver re-install for AS7? 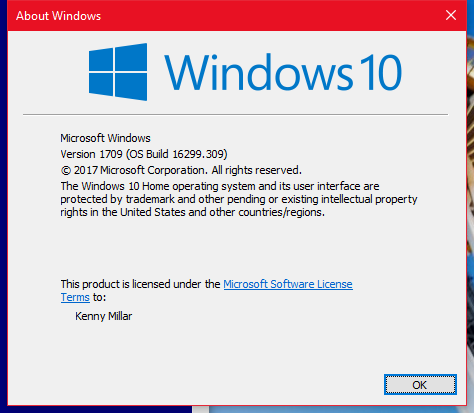 I have been using AS7 on Windows 10 with an Atmel ICE for some months now without any trouble. Today I used ZaDig to install drivers for a USBAsp programmer for an unrelated project using AvrDude, not in AS7. 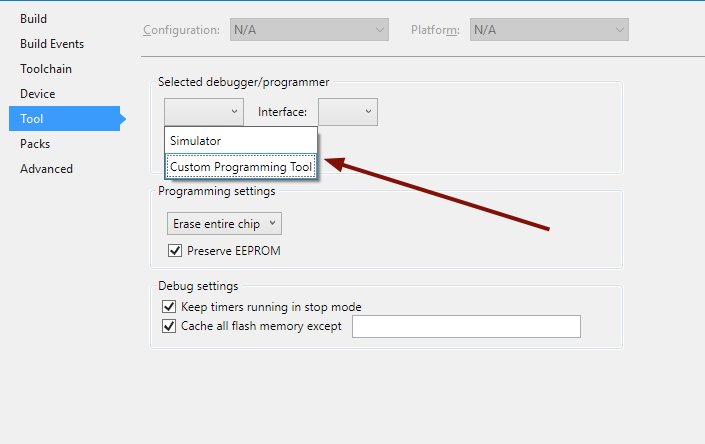 Now when I go back to AS7 and plug in my ICE, it is not recognized by AS7 and does not show in the list of tools. I'm guessing ZaDig did something to the driver. 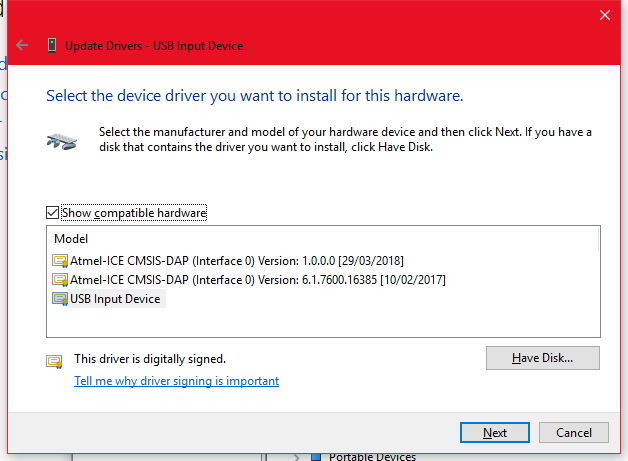 How can I re-install the original ICE drivers and get this working again? The first link was a bit lacking in any specific technical details, but I tried it's suggestions, with no success. I tried a studio clean like you suggest, but that didn't work either. I have several ICE's and they are all behaving the same. I'm sure it's a messed up driver, but can't get to the bottom of it. 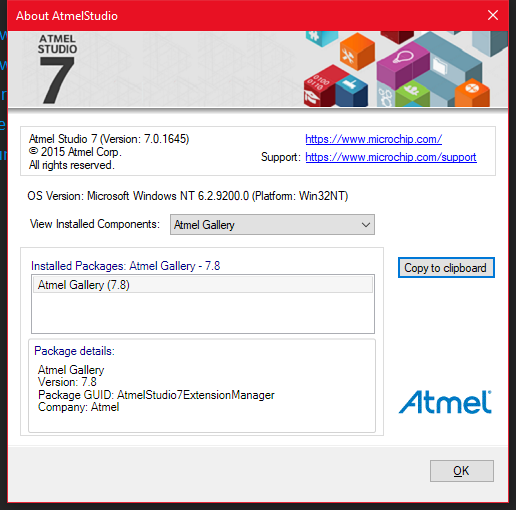 What version of Atmel Studio 7? Reason: 1416 and subsequent replaced the Jungo USB driver with WinUSB; Atmel-ICE primarily goes via USB HID. Reason: periodic USB issues in version 1709 (1703 is mostly stable) with one recent USB HID issue in 1709 that was fixed, IIRC, the next month. I removed AS7 again. Rebooted, removed any remnants from \Program Files (x86)\Atmel\Studio, and rebooted again. And the ICE is still not recognized in AS7. Arrrgh! All because I needed to install a USBAsp for one other project. 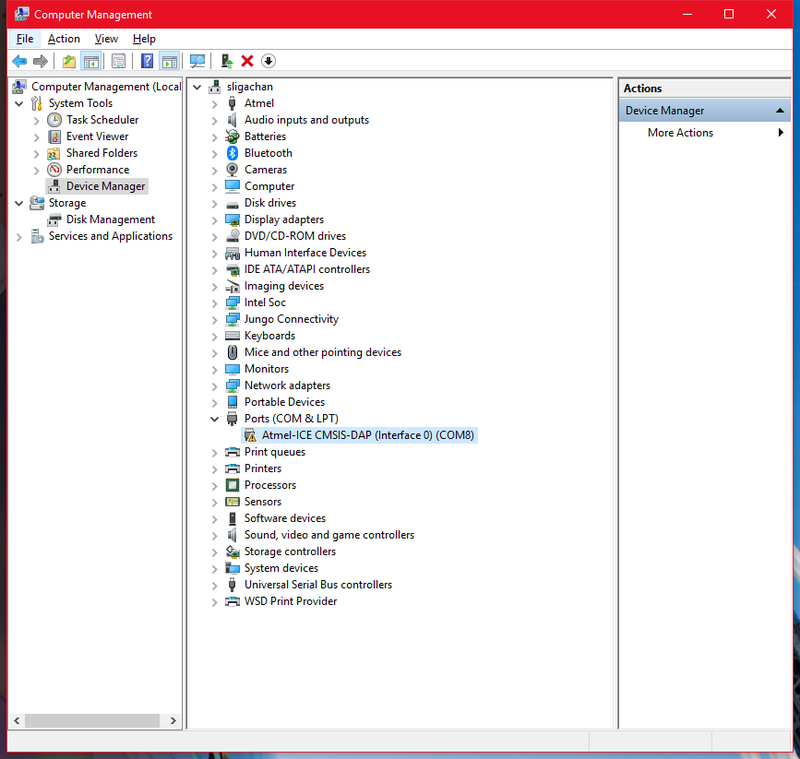 Windows driver structure drives me mad! So, I did a clean uninstall of AS7 and reboot, re-install AS7. 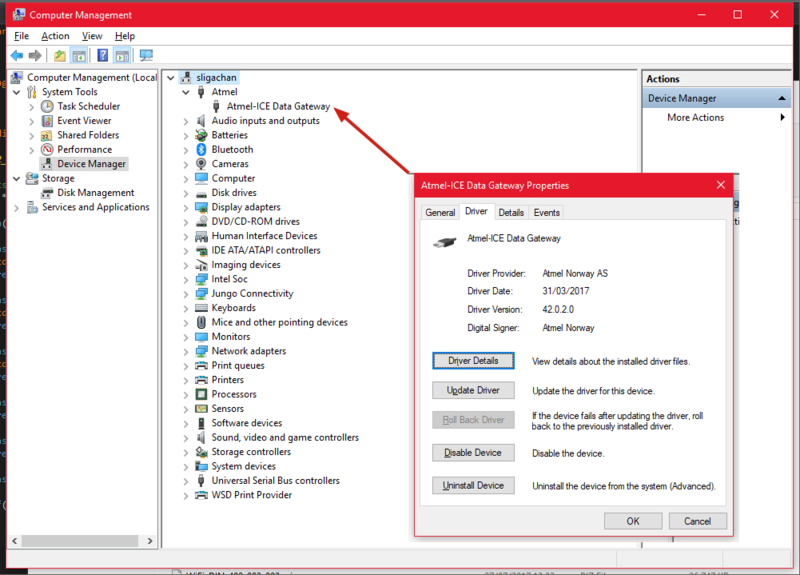 Then when device manager looked like the images in post #7 above I right cliked and selected "Update driver"
Selected "Browse my computer for driver software"
Now the trick here is to NOT select the "Atmel-ICE" ones, but chose the "USB Input Device" option instead. Click "Next" and voila it worked! The secret for me was to go through the below cycle while leaving the Atmel ICE plugged in as many times as necessary until only one device with a question mark showed in Device Manager that would not go away, then uplug and plug in the Atmel ICE. Then Action > Scan for Hardware Changes.